This article first appeared in The Edge Malaysia Weekly, on September 28 - October 4, 2015. NATIONAL automaker Proton Holdings Bhd should be announcing its results for its financial year ended March 2015 within the next few days or by end-September. There was a time when the national carmaker’s results would generate interest and dominate discussions among corporate players and analysts. Back then, circa 2002, Proton’s market share of the total industry volume was in excess of 60%. In stark contrast, with the company no longer a publicly traded counter and struggling to make ends meet with a market share of less than 17%, the excitement is all but gone. The last reported financials filed with the Companies Commission of Malaysia (CCM) indicate that Proton suffered an after-tax loss of RM821.4 million on the back of RM7.7 billion in revenue in FY2013. As at end-March 2013, the company had non-current assets of RM3.8 billion, current assets of RM3.5 billion, current liabilities of RM3.5 billion and long-term debt commitments of RM33 million. Proton had yet to announce its FY2014 financials at press time. Judging by the dampened economic climate — auto sales fell almost 9% in August — the current financial year is likely to be challenging as well for the carmaker. 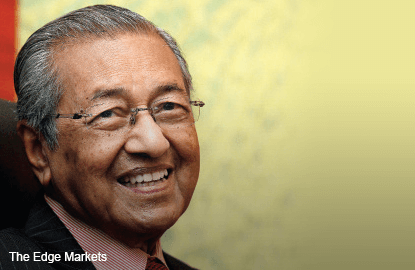 Nevertheless, firmly in Proton’s corner is Tun Dr Mahathir Mohamad, who launched the company during his tenure as prime minister. He believes Proton could be a success story with adequate government support. “Yes, I admit Proton is struggling now [but it is] because of the lack of government support,” he said candidly in a recent interview with The Edge TV. It seems it was difficult for Proton to venture into other countries such as South Korea, Japan or even China, as they had protectionist measures to safeguard their local industries. “But there’s no more protection [for Proton]. Now, foreign cars are given exemptions. If they don’t comply with our needs, they are given exemptions. We have pointed out … there are 70 cars [that are being] given exemptions [but are] not complying with Malaysian requirements. But Proton does not get any exemptions,” said Mahathir. To put things in perspective, Mahathir played a key role in the formation of Proton 32 years ago and put in place measures such as high taxes on imports to protect the national car. The government issued R&D grants amounting to hundreds of million ringgit to Proton. For instance, in the last financial results — for the nine-month period ended December 2011 — announced before its privatisation, Proton said it had received a RM175 million R&D grant in 2010. Nevertheless, without Mahathir at the helm, Proton has been ailing and sales numbers have been dwindling. In August, Proton sold only 9,040 cars. For the first eight months of the year, it managed to sell 70,113 cars, which is less than half of rival Perusahaan Otomobil Nasional Kedua Sdn Bhd’s 143,048. Honda, the top selling non-national car brand, sold 6,853 cars in August and 58,892 in the first eight months of the year. Some Honda marques are assembled in Pagoh, Melaka, under a collaboration between Honda of Japan, Proton’s parent DRB-Hicom Bhd and Oriental Holdings Bhd. 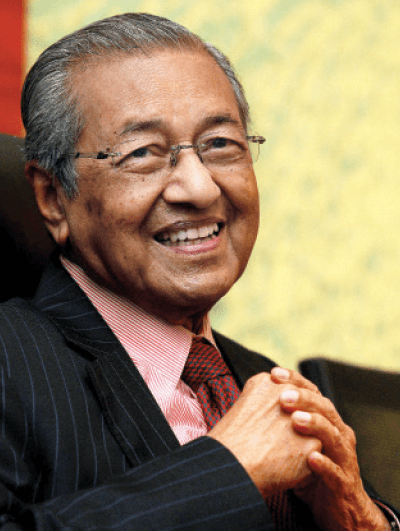 Mahathir laments, “Everything is opened up. The government says we want a cheap car — and foreign cars assembled in Malaysia are cheap. “Do you know what it means to reduce the sales of Proton? It means that people who started engineering companies to supply components to Proton, they’re suffering … About 200,000 people are suffering because of [the] government’s policy to encourage imports and discourage local industries,” he said in reference to the Proton Vendor Development Programme. The programme has been accused of producing auto parts manufacturers that make substandard goods but which managed to thrive because of strong political connections. It is not known how the companies are faring or whether they have improved.